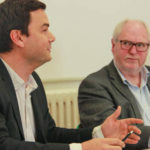 It would be a catastrophe for the Eurozone if Greece were pushed out,” Thomas Piketty, France’s ‘super economist’ told over 30 members of the AAPA, as it would “spell the beginning of the end for the single currency”. 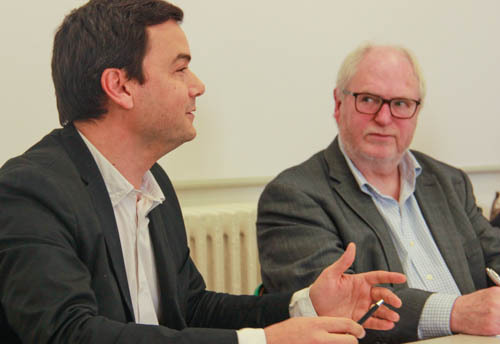 Mr. Piketty, author of the best-selling book ‘Capital in the 21st century,’ met with over 30 AAPA members at the Paris School of Economics where he gave his views on everything from France’s socialist government under President Francois Hollande, the UK general election, the Eurozone’s future and his specialised topic of growing inequality between the rich and the poor. On the Eurozone, Mr. Piketty said Greece’s debt would have to be renegotiated but criticized the way talks had been handled in relative secrecy. “This is a perfect example of why we need some political involvement in the economic policy surrounding the single European currency,” he said. The economist whose book earned him an invitation to the White House to meet Barack Obama’s advisors said: “The governments of France and Germany have not prepared public opinion for the eventuality” that Greece could leave the eurozone. Asked about the policies of the Socialist government in France, Mr. Piketty, who has described Hollande’s presidency as a disaster, said the Socialists have been giving the impression they have simply been “improvising”. Mr. Piketty’s main criticisms of Hollande surrounded his decision to initially raise taxes before later lowering them as well as introducing an “incredibly complicated” way to lower corporate taxes. He agreed the labor market could do with reforming in France, but said it is not to blame for the rise in unemployment in the country.